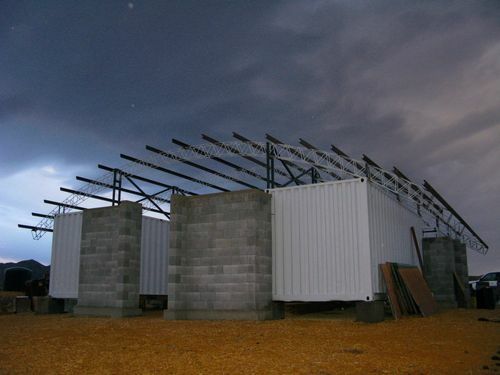 It seems like shipping container architecture is getting a revival of sorts, despite all the drawbacks and criticisms of this form of architecture. 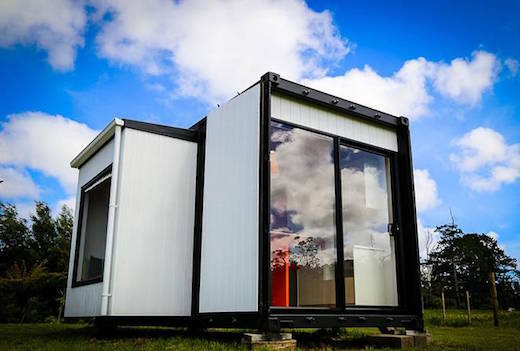 These include the fact that containers are just too narrow, as well as too toxic to be suitable for people to live in. They also need a lot of reinforcing once you start cutting them up to create windows or join them together to make bigger homes. 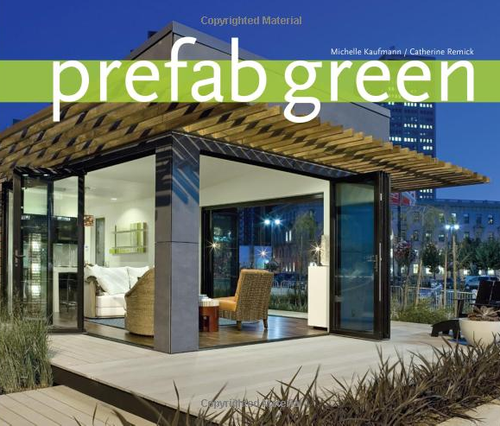 With the latter there is also the question of whether all the work required doesn’t actually eliminate most of the sustainability of this type of architecture. 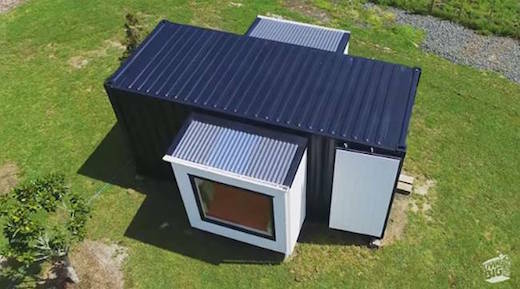 However, a lot of people still love the simplicity and minimalism of shipping container homes, and one such is certainly Shane Blind of New Zealand. 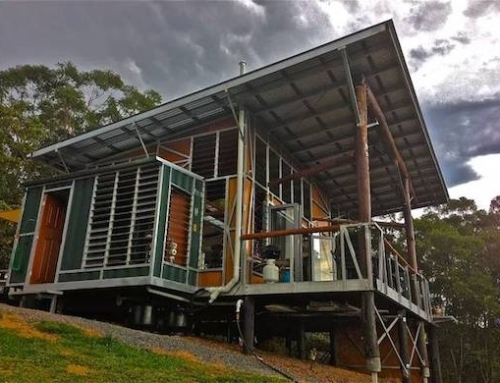 He recently completed his shipping container home which is pictured above and which at first glance does not appear to be made out of a container at all. 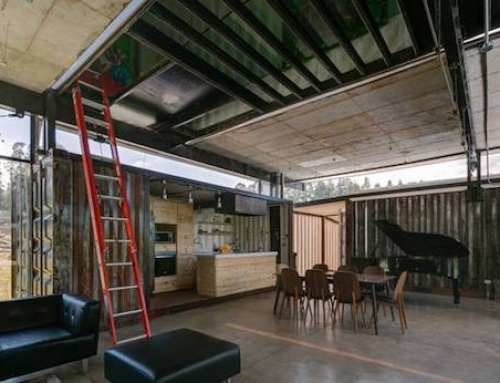 Shane used a single, 20-foot shipping container to create his modern home. he also added two pop-out units along the sides, which solved the problem of the container being too narrow. 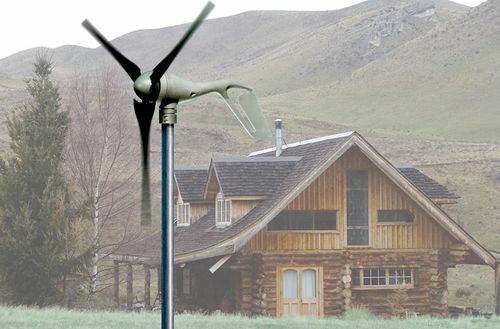 Shane uses this so-called “Pod-Tainer” as a guesthouse, so it’s not his full time home. But the architectural solutions he employed would make if highly suitable as such. 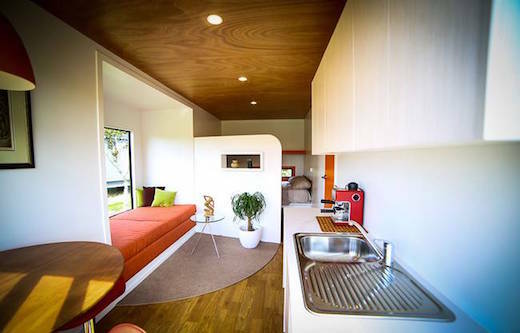 He didn’t want to fit the home with foldable or stow-away elements, which led him to create the two pop-out units on the sides. 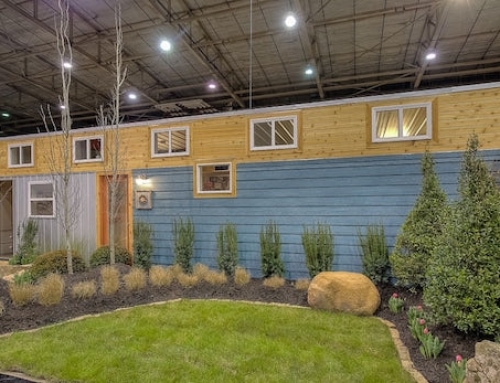 The first 6 by 3 foot (1.8 by 1 m) pop out contains the living area, while the other one, which is right across it contains the bathroom. 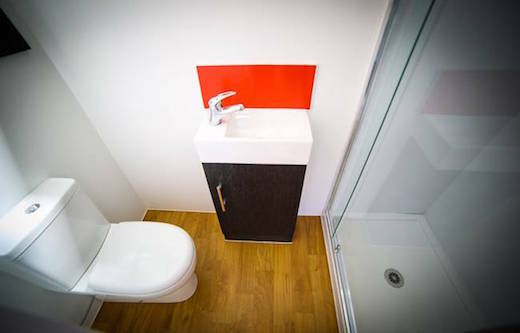 The latter is quite spacious and features a sink, toilet, and shower, which has enough headroom for a 6 ft man to shower in comfortably. 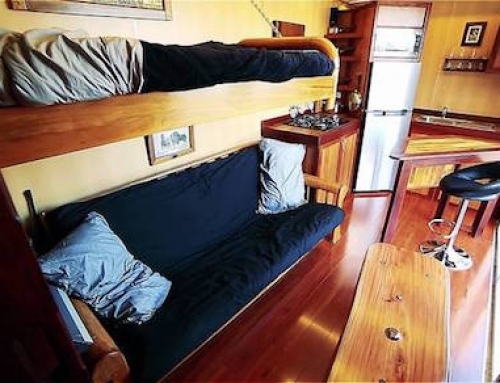 The home also features a kitchenette, which is fitted with a portable stove, refrigerator and a microwave. 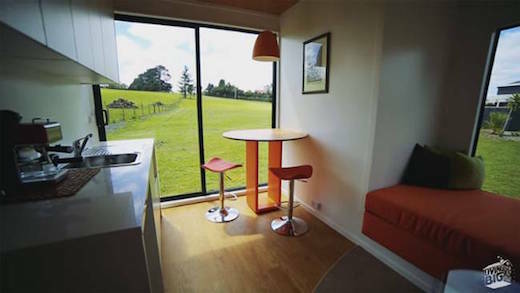 This area also features a dining table, which could easily be used as a working space. 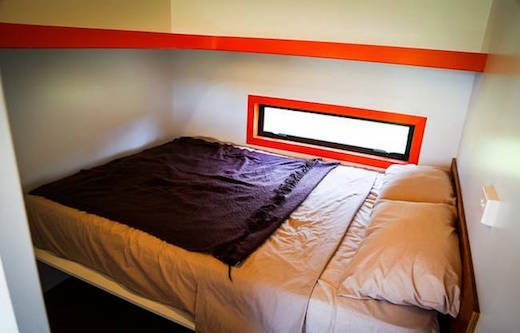 The bedroom is housed in one end of the pod. 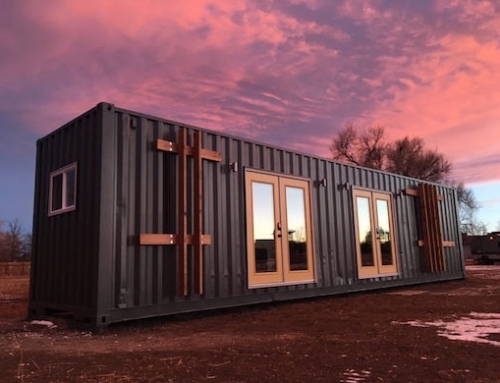 This is certainly a great example of shipping container architecture at it’s finest, especially since it eliminated most of the drawbacks of using cargo containers as building blocks. It also only cost him $20,000 to build, though he did most of the work himself over a period of about two months.